Give Some & Get Some TLC! 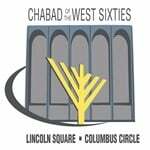 The Twisted Loaves Club presents another exciting Challah Bake! The challah class with a twist. A fun night out with the girls over toasts, loaves and lots of love! PLEASE NOTE: At a Private Location in the Midtown West area - address to be emailed upon reservation receipt. This Wednesday April 3rd at 8pm.